Mr. Brown engages in a broad-based litigation practice. Mr. Brown’s practice concentrates on highly contentious complex business disputes, intellectual property and unfair competition litigation and arbitration concerning non-compete agreements, trade secrets and other confidential information, securities industry disputes between broker/dealers and associated persons or customers, and commercial insurance disputes. 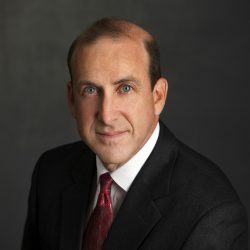 Mr. Brown has first chaired a myriad of complex commercial disputes that run the gambit of high stakes business litigation, including real estate, corporate acquisition, and vendor actions. Mr. Brown also has extensive first chair experience defending insurance companies against individual and corporate insureds, school districts, and third party administrators. Mr. Brown focuses on and has first chaired over one hundred cases involving the claimed protection of trade secrets for securities firms and their employees as well as for various other commercial entities unrelated to the securities industry. These disputes often involve attempts to enforce or to declare unenforceable non-competition and non-solicitation agreements. He has appeared on behalf of plaintiffs and defendants in these disputes often for the initial purpose of obtaining or preventing temporary restraining orders and injunctions. The resolution of these matters runs the gamut from expedited settlements, to protracted discovery in multiple forums, through trial, appeal, and final merit arbitration hearings. Mr. Brown has extensive experience in the arbitration process, having appeared as lead counsel in hundreds of arbitration cases pending before the Financial Industry Regulatory Authority (FINRA) and its predecessor entities NASD, NYSE Regulation and the Chicago Board Options Exchange. He closely follows evolving law governing contractual arbitration provisions and has spoken on the expanding importance of alternative dispute resolution, in particular arbitrations, in our society. In 2012, Mr. Brown himself became an approved FINRA Arbitrator. Mr. Brown recognizes the importance of strong communications not only at the outset of a new case, but throughout the discovery process, and then through trial, appeal, or resolution. Mr. Brown believes that to best represent his clients, they need to be fully aware of both short-term action items, and longer-term options and strategies.